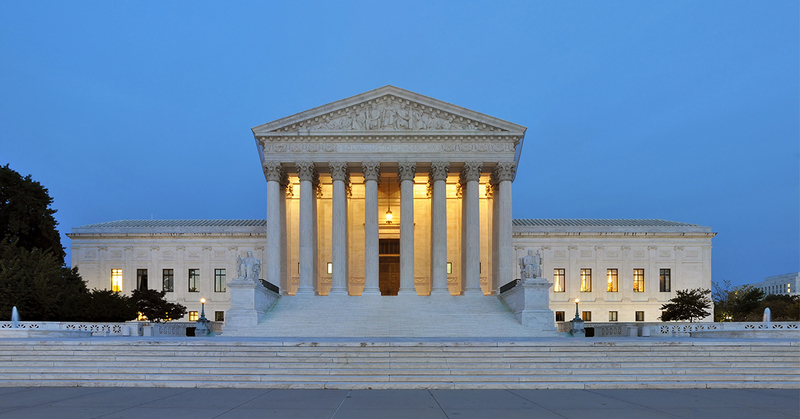 On March 22, the Supreme Court of the United States of America made an unanimous ruling that will (hopefully) allows children that require special education to receive a proper education. The 8-0 ruling in the Endrew F. v. Douglas County School District case states that schools must do more than provide a “merely more than de minimis” education for students with disabilities and instead must provide them with an opportunity to make “appropriately ambitious” progress in line with the federal education law. …to the maximum extent appropriate, children with disabilities, including children in public or private institutions or other care facilities, are educated with children who are not disabled, and that special classes, separate schooling, or other removal of children with disabilities from the regular educational environment occurs only when the nature or severity of the disability is such that education in regular classes with the use of supplementary aids and services cannot be achieved satisfactorily. What I especially like about this ruling is that “a student offered an education program providing a ‘merely more than de minimis’ progress from year to year can hardly be said to have been offered an education at all.” This is great! Now that Noah is included in the “typical” classroom for a good portion of the day, I want to make sure that he is actually learning. Not simply playing with toys, or coloring in a coloring book. I want him to learn, and this court case says that schools must do that! I do believe Noah is learning, but I do sometimes struggle with knowing exactly what he is learning, how they are adapting the curriculum for him, etc. I want him learning, not simply being promoted from grade to grade – which is what this ruling specifically addresses. If you’re a parent of a child with a learning disability reading this, take hope! The law is on your side. Don’t give up. Spend some time reading up on the IDEA Act, and don’t be afraid to take things to the district level if need be. How do you feel about this new ruling? How was your experience been with your child’s school? Leave a comment below and share your experience! That’s real progress, and I hope it’s implemented to the fullest. 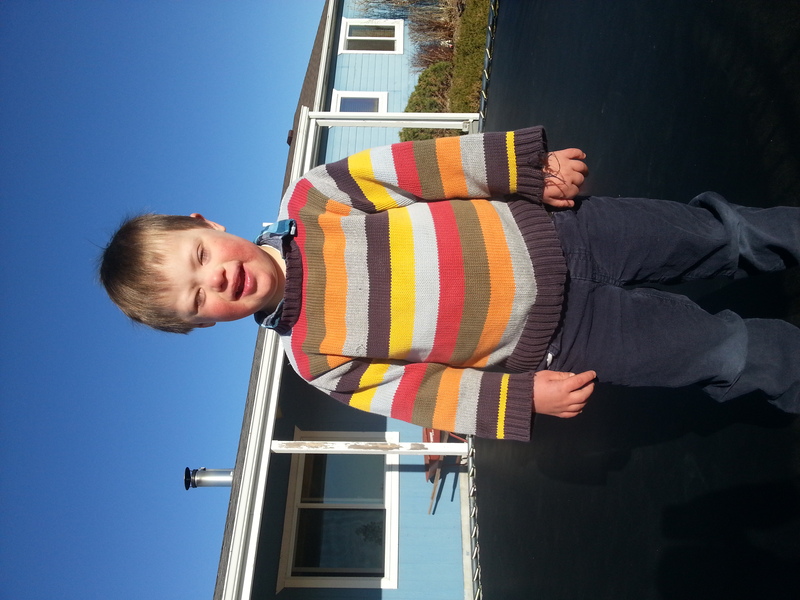 After reading “Home is Where the Smart is,” we decided to home school our son with Down Syndrome. He does the Simply Classical curriculum by Memoria Press. Homeschooling also allows us to do his neurodevelopmental therapies, which have made a huge difference in his intellectual and physical progress. Just might be an option for some folks. I was thrilled to hear about this unanimous ruling from the SCOTUS!! However, I hope this ruling convinces every parent to call their Congressional rep TODAY 3/23/17 and OPPOSE Neil Grouch for the US Supreme Court today, because unfortunately when this case was in the lower courts here in Colorado, he ruled AGAINST students with disabilities, stating he was satisfied that “de minimis” education for students with disabilities was acceptable and adequate. Combined with Secretary DeVos’s unwillingness to commit to upholding federal law re education for children with disabilities, and it spells an uncertain future for our precious children. My sister and brother-in-law have to jump thru the same constant hoops for my nephew’s sake, but the value of a quality education should be a basic fundamental right we can all agree on, regardless of politics. Thank you for your excellent blog! I’ve been following a his case, kudos for a unanimous vote for FAPE! For the most part, my son’s edit and working with the school IEP teams were positive. 22,years I learned a few things that work. Knowi what rights your child has, (Wrightslaw online is a great resource). Second, be a part of the planning process with goals and always request the drafts of all reports and current level of functioning to review prior to the IEP meeting so you can make informed decisions for your child. Finally, if you are feel yiour child’s needs are not being met, bring in an outside advocate to observe your child and/or have them at the IEP meeting. Thank you for your excellent article. It might be a state by state matter as far as following the laws for a free and appropriate education for all children. Parents do have to be the best advocate for their child. They do have to know the laws and be watchful of their child’s educational progress or lack of. Thanks for speaking to getting rid of the labels. God Bless you. I know my brother, Frederick Weintraub and his wife, Lynne Cook, fought hard and long to create and keep this legislation. I’m certain that somewhere they are able to long down and hear this important news. But it’s so sad that it had to be ruled once again – when will it simply be understood as fair, just and necessary? Also, contact your district’s Section 504 Coordinator. Under the Rehab Act, each district is required to have a designated 504 Coordinator who acts as a liason between the student/parent and the school. They are there to oversee and act as an advocate for your child’s IEP. We sued our district in 1990, when they were in violation of the law-no coordinator. By the time our child finished high school, a gifted program nonetheless, they were tired of seeing me. But the principal called me after graduation to tell me he admired the fact that I was so involved and didn’t let them get away with anything. As exhausting as this will be, it is worth it. Wow so glad to know how far the need for education of children with down syndrome has been considered in the US. Currently my Gabriel has started school and is doing well but we have had to place him in an international school and not the Kenyan schools so that he can get the education that he needs. Its expensive but we are taking it one day at a time. We are just glad that he has the environment and facilities to learn. Any thoughts on whether private school would be better because it is smaller? I’ve heard that public schools have a lot of resources for children with disabilities. I wonder how it balances out between public and private.